Heavy metal singer and dog lover Benji Webbe joins forces with volunteer pet rescuer and presenter Fran Donovan to find homes for some of Wales’ abandoned puppies and strays. 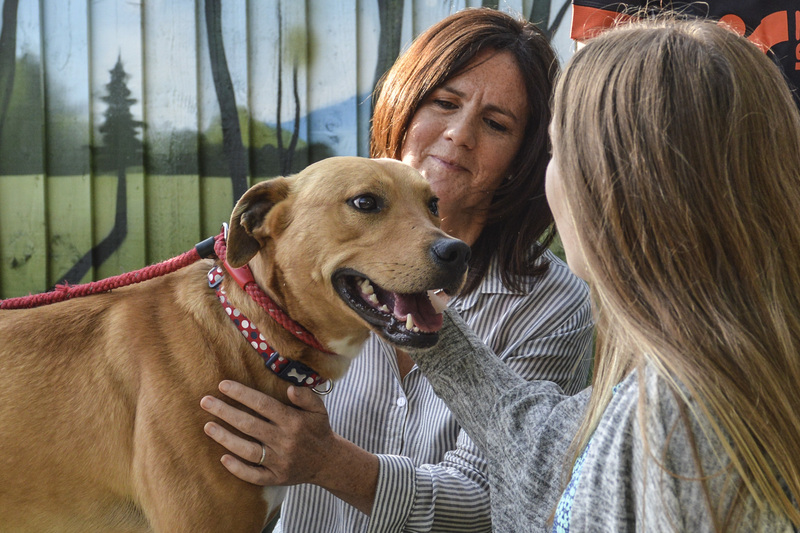 They are on a mission to match unwanted dogs with loving new families - visiting animal shelters all over Wales on their quest to find the dogs who need their help the most. In this episode they are trying to match the Barrett family from Cardiff with the dog of their dreams. Mum Emma and Dad Connor want a family pet for their three children although middle son Owen - who has autism and wants a four legged friend the most - will be the one who has to make the big decision, and choose a new dog from four hopeful candidates selected by Benj and Fran. While Benj scours the rescue kennels at Newport City Dogs Home (across the river from his home in Pill) Fran goes spend the day searching through the lost and found pets at Cardiff Dogs home - a place where she regularly volunteers at as a dog walker. The pair also arrange for mum Emma to meet another parent with an autistic child who has adopted rescue dogs to give their daughter help and companionship with her condition. Packed with tips on dog care and featuring some of the cutest animals on screen, this is a fun and heart-warming show which celebrates animals and their champions in Wales.